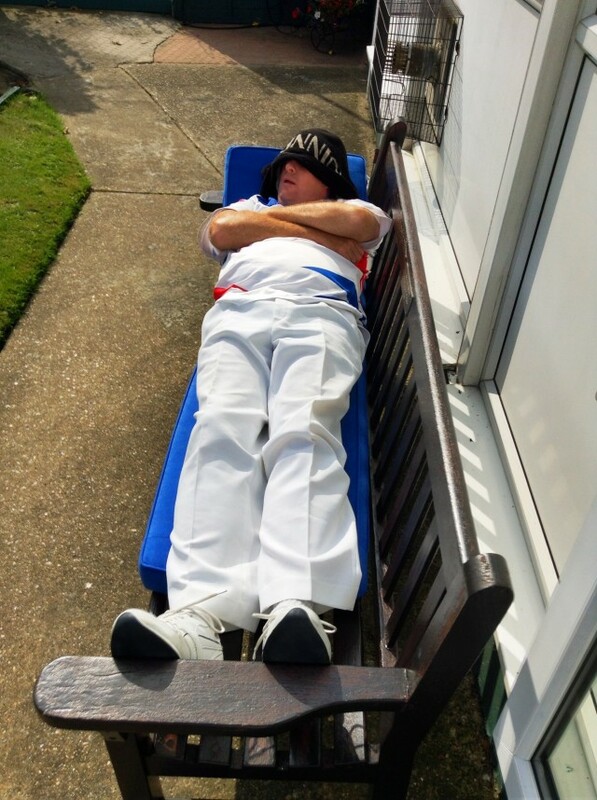 After helping to win the Jackson Shield on Saturday Russell has to rest between rounds of Sunday’s Triples Day. ~ by Colin Foster on September 14, 2014. Yes I’m afraid so. A picture tells a thousand words as they say.